The Website is owned and operated by Quarantine Productions (“Quarantine Productions”, “we”, “us”, “our” or similar pronouns). As used in these Terms, the term “Website” shall also refer to the logos, designs, text, graphics, software, other content and materials available through the Website, and the selection and arrangement thereof (collectively, “Content”), and the Quarantine Productions hardware, software and networks associated with making the Website available to you (collectively, “Quarantine Productions System”). Unless explicitly stated otherwise, any new features, functionality or services that augment or enhance the Website in the future shall be considered part of the Website and subject to these Terms. You acknowledge that the Website is subject to outages, slowdowns and/or other interruptions. You further acknowledge that we are not responsible for performance degradation, interruption or delays arising from any source. Quarantine Productions will not be liable to you if the Website is unavailable at any given time. You agree that your sole remedy for any Website unavailability shall be to terminate your use of the Website. If you do not agree with any of these Terms, please do not use the Website. Quarantine Productions reserves the right, in its sole discretion, to modify these Terms at any time without further notice. Your continued use of the Website after any such modification constitutes your acceptance of these Terms as modified.Quarantine Productions may, in its sole discretion, terminate, change, modify, suspend, make improvements to or discontinue any aspect of the Website, temporarily or permanently, including the availability of any features of the Website or access to any parts of the Website, at any time with or without notice to you. You agree that Quarantine Productions shall not be liable to you or to any third party for any modification, suspension or discontinuance of the Website. Quarantine Productions grants to users a limited, non-exclusive, non-transferable licence to access and use the Website (including any Content) strictly in accordance with these Terms. Quarantine Productions may terminate this licence at any time, for any reason. You may use the Website on one personal computer for your own personal, non-commercial use. No part of the Website may be reproduced in any form or incorporated into any information retrieval system, electronic, mechanical or otherwise. You may not use, copy, emulate, clone, rent, lease, sell, modify, decompile, disassemble, reverse engineer or transfer the Website, nor any portion thereof. You may not use any device, software or routine to interfere or attempt to interfere with the proper working of the Website, and you may not take any action that imposes an unreasonable or disproportionately large load on the Quarantine Productions System. All ownership rights and title in and to the Website, including all Content therein, are owned by Quarantine Productions and its licensors, and protected under applicable copyrights, trademarks and other proprietary (including, without limitation, intellectual property) rights and international treaties. Except as expressly stated in these Terms, you may not reproduce, perform, create derivative works from, republish, upload, post, transmit nor distribute in any way the Website, or any portion therein, including, without limitation, any Content, without the prior written permission of Quarantine Productions. All rights not expressly granted to you through these Terms are retained by Quarantine Productions and its licensors.Nothing in these Terms grants to you any right to use any of Quarantine Productions’s trademarks, service marks, logos, domain names nor other indicia of origin. In addition, you agree that you will comply with all applicable local, regional, state, national and international laws and regulations that relate to your use of, or activities in connection with, the Website. You agree to immediately notify us if you suspect fraudulent or abusive activity, or any activity in violation of these Terms. If you so notify us, or we otherwise suspect fraudulent or abusive activity, you agree to cooperate with us in any fraud investigation and to use any fraud-prevention measures we prescribe. THE WEBSITE, IN WHOLE AND IN PART (INCLUDING, WITHOUT LIMITATION, ALL CONTENT AND USER MATERIALS), IS PROVIDED, TRANSMITTED, DISTRIBUTED AND MADE AVAILABLE “AS IS” WITHOUT EXPRESS OR IMPLIED WARRANTIES OF ANY KIND, INCLUDING, WITHOUT LIMITATION, WARRANTIES OF TITLE, IMPLIED WARRANTIES OF MERCHANTABILITY AND/OR FITNESS FOR A PARTICULAR PURPOSE. 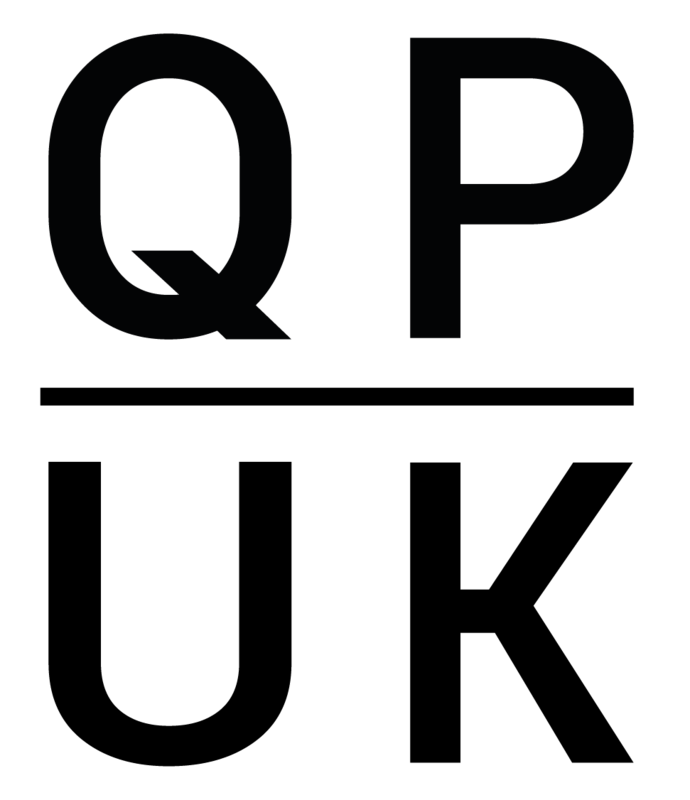 WITHOUT LIMITING THE GENERALITY OF THE FOREGOING, Quarantine Productions MAKES NO WARRANTY: (A) THAT THE WEBSITE WILL BE UNINTERRUPTED OR ERROR-FREE; (B) THAT DEFECTS OR ERRORS IN THE WEBSITE WILL BE CORRECTED; (C) THAT THE WEBSITE WILL BE FREE FROM VIRUSES OR OTHER HARMFUL COMPONENTS; (D) AS TO THE QUALITY, ACCURACY, COMPLETENESS AND VALIDITY OF ANY INFORMATION OR MATERIALS YOU RECEIVE IN CONNECTION WITH THE WEBSITE, INCLUDING, WITHOUT LIMITATION, THIRD-PARTY SUBMITTED USER MATERIALS; (E) THAT YOUR USE OF THE WEBSITE WILL MEET YOUR REQUIREMENTS; OR (F) THAT TRANSMISSIONS OR DATA WILL BE SECURE. YOU EXPRESSLY ACKNOWLEDGE AND AGREE THAT YOU ASSUME TOTAL RESPONSIBILITY AND RISK FOR YOUR USE OF THE WEBSITE AND THE RESULTS AND PERFORMANCE THEREOF (INCLUDING, WITHOUT LIMITATION, YOUR USE OF ANY THIRD-PARTY SUBMITTED USER MATERIALS, THIRD-PARTY APPLICATIONS, WEBSITES AND ANY GOODS, SERVICES OR CONTENT YOU MAY RECEIVE IN CONNECTION WITH LINKS CONTAINED WITHIN THE WEBSITE).IN NO EVENT AND UNDER NO CAUSE OF ACTION, INCLUDING, WITHOUT LIMITATION, NEGLIGENCE, SHALL Quarantine Productions AND ITS AFFILIATED ENTITIES NOR ANY OF THEIR RESPECTIVE OFFICERS, DIRECTORS, EMPLOYEES OR AUTHORISED AGENTS (COLLECTIVELY, THE “Quarantine Productions PARTIES”) BE LIABLE FOR ANY DAMAGES, CLAIMS OR LOSSES INCURRED (INCLUDING, WITHOUT LIMITATION, COMPENSATORY, INCIDENTAL, INDIRECT, SPECIAL, CONSEQUENTIAL AND/OR EXEMPLARY DAMAGES), HOWEVER CAUSED, AND UNDER ANY THEORY OF LIABILITY ARISING FROM OR IN CONNECTION WITH THE FOLLOWING CIRCUMSTANCES, EVEN IF A Quarantine Productions PARTY IS ADVISED OF THE POSSIBILITY OF SUCH DAMAGES, CLAIMS, OR LOSSES: (A) THE WEBSITE, INCLUDING, WITHOUT LIMITATION, ANY CONTENT; (B) YOUR USE, OR INABILITY TO USE, THE WEBSITE, INCLUDING, WITHOUT LIMITATION, ANY CONTENT; (C) ANY USER MATERIALS, WHETHER PROVIDED BY YOU OR ANY THIRD PARTY, OR YOUR USE OF OR RELIANCE UPON ANY USER MATERIALS; (D) ANY THIRD-PARTY APPLICATION, WEBSITE, OR WEBSITE USED IN CONNECTION OR AVAILABLE THROUGH, THE WEBSITE; (E) UNAUTHORISED ACCESS TO OR ALTERATION OR LOSS OF YOUR TRANSMISSIONS OR DATA, OR OTHER INFORMATION THAT IS SENT OR RECEIVED IN CONNECTION WITH THE WEBSITE; (F) ERRORS, SYSTEM DOWNTIME, NETWORK OR SYSTEM OUTAGES, FILE CORRUPTION OR WEBSITE INTERRUPTIONS; OR (G) ANY MODIFICATION, DELETION OR ADDITION TO YOUR USER MATERIALS BY Quarantine Productions OR ANOTHER WEBSITE USER.NOTWITHSTANDING ANYTHING TO THE CONTRARY CONTAINED HEREIN, Quarantine Productions’S CUMULATIVE LIABILITY TO YOU ARISING FROM ANY CAUSE WHATSOEVER, AND REGARDLESS OF THE FORM OF THE ACTION, WILL AT ALL TIMES BE LIMITED TO THE AMOUNT PAID, IF ANY, BY YOU FOR THE WEBSITE. IF NO AMOUNTS WERE PAID, YOUR SOLE REMEDY UNDER THESE TERMS SHALL BE TO DISCONTINUE ANY AND ALL USE OF THE WEBSITE. SOME JURISDICTIONS DO NOT ALLOW THE DISCLAIMER, EXCLUSION OR LIMITATION OF CERTAIN WARRANTIES, LIABILITIES AND DAMAGES, SO SOME OF THE ABOVE DISCLAIMERS, EXCLUSIONS AND LIMITATIONS MAY NOT APPLY TO YOU. IN SUCH JURISDICTIONS, Quarantine Productions’S LIABILITY SHALL BE LIMITED TO THE FULLEST EXTENT PERMITTED BY APPLICABLE LAW. The Website includes links or direct connections to other websites, content and/or resources made available to you from third parties. For example, the Website may provide direct links to clients or social networking services. You acknowledge that Quarantine Productions has no control over any such third-party applications, websites, content or resources, which are made available by companies or persons other than Quarantine Productions. You acknowledge and agree that Quarantine Productions is not responsible for the availability of any such third-party applications, websites, content and/or resources. You further acknowledge that Quarantine Productions is not liable to you for any loss or damage that may be incurred by you as a result of these third-party applications, websites, content or resources. Quarantine Productions will not be liable in any amount for failure to perform any obligation under these Terms if such failure is caused by the occurrence of any unforeseen contingency beyond its reasonable control, including, without limitation, internet outages, communications outages, fire, flood or war. The section titles in these Terms are provided solely for convenience and have no legal or contractual significance. You agree that Quarantine Productions may provide you with notices in connection with the Website by email, regular mail or via postings on the Website. Our failure to enforce any provision of this Agreement shall not be deemed a waiver of such provision, nor of the right to enforce such provision. Entire Agreement; Limitation of Actions: The Terms constitute the entire agreement between Quarantine Productions and you with respect to your use of the Website. To the extent permitted by law, any cause of action you may have with respect to the Website must be commenced within one (1) year after the claim or cause of action arises, notwithstanding any statutes of limitation to the contrary. You agree to indemnify and hold harmless the Quarantine Productions Parties from any loss, liability, claim or demand, including costs and reasonable attorneys’ fees, made by any third party due to, or arising out of, your use of the Website, or arising from your breach of these Terms, including any representation or warranty set forth herein. As a part of your indemnification obligations, you agree to indemnify the Quarantine Productions Parties for any claims or suits arising from User Materials you provide and your use of any Community Feature.Severability: If any provision of these Terms shall be deemed unlawful, void or, for any reason, unenforceable, then that provision shall be deemed severable from these Terms and shall not affect the validity and enforceability of any remaining provisions. Nothing in these Terms shall be construed as creating a joint venture, partnership, employment or agency relationship between you and Quarantine Productions, and you do not have any authority to create any obligation or make any representation on Quarantine Productions’s behalf. You may not assign these Terms, by operation of law or otherwise, without Quarantine Productions’s written consent. Subject to the foregoing, these Terms will be binding on, inure to the benefit of, and be enforceable against, you and Quarantine Productions and its respective successors and assigns. These terms and conditions shall be governed by English law, and you consent to the non-exclusive jurisdiction of the English courts. Contact Us: If you have any questions or comments regarding the Website, you may contact us at: info@getshorty.net.